Zenia Argenti started her musical formation in her native town Trikala with piano studies. Later, she studied singing in Athens. Complementary studies brought her to Renata Scotto at the Santa Cacilia Concervatory in Rome. Here, she graduated with distinction and also obtained her Lied diploma. She absolved master classes in Italy a.o. with Alberta Valentini and Bruno Pratico. She also attended workshops in Greece with Anna Tomova- Sintov, Dimitris Kavrakos, Jeanette Pilou and Daphne Evangelatos. She started her prefessional carreer in 2003 with concert performances at the Athens Condert Hall and at the Maria Callas Hall. 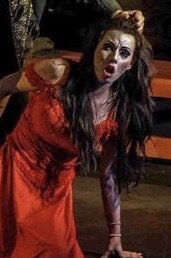 Several opera productions in Greece and Italy followed. She made her debut as DONNA ANNA in 'Don Giovanni', as FIORDILIGI in 'Cosi fan tutte', as MICAELA in 'Carmen', MIMI in 'La Bohème'. She also sang LIU in 'Turandot' on an Italy Tour. Meanwhile, the good-looking Greek singer is a regular guest at the Greek National Opera in Athens. Lately, she enjoyed great success here as NEDDA in 'I Pagliacci' and KRINIO in 'The Murderess' by Georgius Koumendakis (Greek premiere). 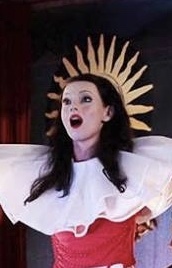 Morteover, concert engagements brought her to Indianapolis, Greece,Italy and Bulgary. 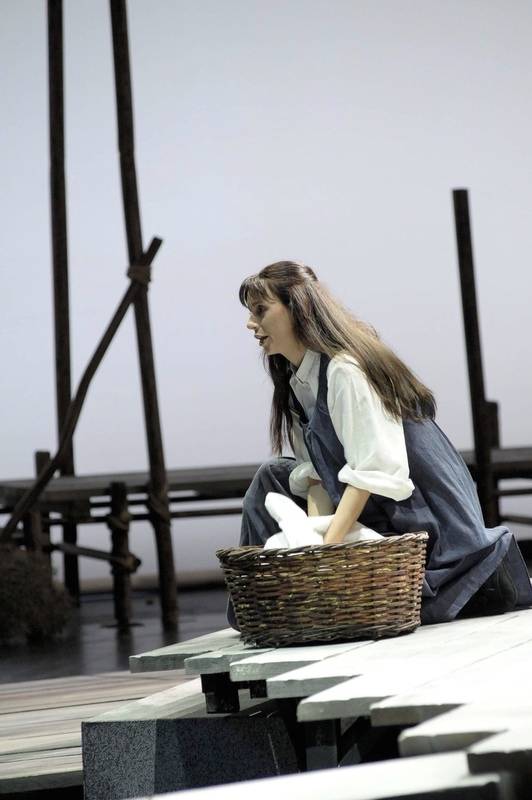 In spring 2019 she made her remarkable debut as MIMI in 'La Bohème' at the Varna State Opera.